Prevent unauthorized draft beer pouring in your home or commercial bar with this secure Perlick faucet lock. Whether you have a home or commercial bar, the last thing you want is kids or guests stealing your beer. Give yourself peace of mind with this dependable, easy-to-use Perlick faucet lock. This lock is the fool-proof way to manage your beer and prevent any unwanted access to your kegs. This high-quality faucet lock is made of heavy-duty steel and is designed to fit all Perlick faucets (including 400, 500, and 630 Series Faucets models). We also carry this item, but built for use with standard beer and wine faucets. To lock your faucet, simply slide the metal loop over the spout and pull it up against toward the lever. Use the key to tighten the lock to a snug fit (be careful not to overtighten). Once secure, the lock will not allow the lever to be pulled forward to start the flow of beer. This item comes with one faucet lock and one key. If you have a multiple-tap draft system, be sure to order one lock for each faucet. You won’t have to manage multiple keys since each lock is keyed alike. If you ever happen to lose you key, replacement keys are available. The Perlick Wrap Around Beer Faucet Lock is perfect for inventory control at a commercial bar. It’s also a smart way to keep underaged kids from access your beer at home. Looks nice, but not for ALL Perlick faucets. I would like this if it worked on my faucet. Beware! It does NOT fit all Perlick models, namely the 650ss with the flow control valve. Kegworks should update their description with this information. I hope there is a lock available for the 650ss faucet, because there is no way this can fit around the flow control valve. If you don't have a flow control valve this lock would be fine. It fits and works but it’s not simple to install. Per lick are the best faucets after owning the cheap owns. I just upgraded my beer faucet to a Perlick 630SS so I wanted a lock to match. Plus, needed to protect my daughters high school friends from my beer. Have Perlick faucets and need a safe way to lock them from unwanted use. Keep the kids honest and away from any beer. Deter any bad behavior. 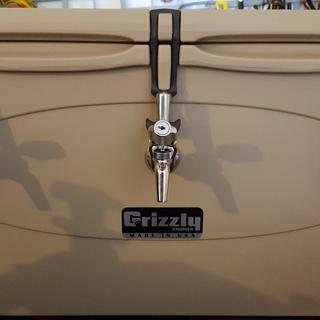 Keezer is located in accessible location, wanted to secure the beer when we aren't home. 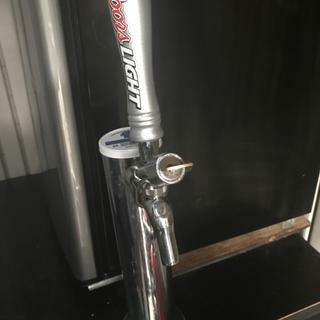 I have the Perlick tap on my garage tap. My son is 13 and has lots of friends over all the time. Need I say more? To keep the thieves from tapping my brew. Or, maybe to slow myself down. We'll see, I guess. To keep visiting family kids honest. Can't find another lock to fit around my Perlick 630SS BEER FAUCET. I just had to return one that didn't fit. I am hoping that this one does the trick. 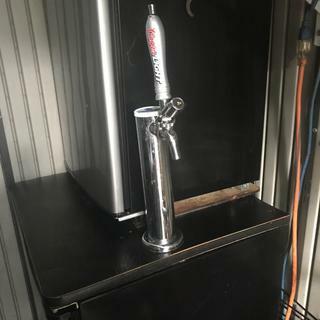 I have an outdoor bbq/bar with a kegerator and i need to ensure the faucet is not knocked into the on position. We have had them for over 15years and are reliable and a great design. My only complaint is that the keys are made of a soft metal and snap easily if over tightened. Will this work on the perlick 650ss? BEST ANSWER: It works perfectly on my Perlick Perl 630ss. Does this work for the Perlick 630? BEST ANSWER: It looks similar to my tap. The locks do work. You do need to make sure the lock is snug or it can be removed without the key.